Bill Eastwood played with the Halfway House Orchestra, New Orleans Rhythm Kings, and the Norman Brownlee Jazz band. 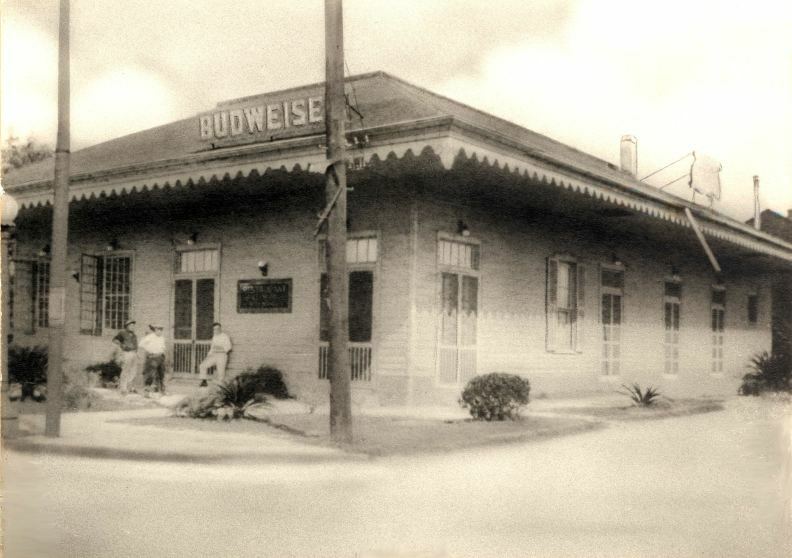 The Halfway House was a supper club located halfway between New Orleans and Lake Ponchartrain. The group Eastwood played with was formed around 1923. Eastwood can be heard tearing it up in this recording of Pussycat Rag and Let Me Call You Sweetheart. Other songs can be heard on youtube. One of the early “white” jazz bands. This early dixieland group is not remembered today, but was well known and very popular in the 1920’s. * Sharkey Bonano, cornet. Emmett Hardy was the band’s first Cornetist. But, Emmett, a dim, legendary figure, never recorded and died at the young age of 22. His playing is reputed to have influenced Bix Beidebecke (who died at age 28). * On trombone was mainly Tom Brown and George Barth (who doubled on Sax and Bass. * Mellophone was played by Billy Braun who doubled on piano. * On clarinet he had Larry Shields; then after Larry went to New York, his brother Harry Shields came in (he is on the record). * Alto/Baritone Sax was played by Hal Jordy. This entry on the wonderful Norman Brownlee Orch., was graciously submitted by his son Henry. F. Brownlee. The New Orleans Rhythm Kings had different banjo players and I don’t know which tunes Eastwood played on. You can search the entire archives. Its pretty amazing. Len Fillis has done two more muted tenor banjo solos. They are of his own compositions Banjokes and Dizzy Digits (Col. DB354). The piano accompaniments are by Arthur Young. Both performances are in the most modern rhythmic style and the technique displayed is quite breath-taking. Without doubt two of the best instrumental performances we have had for many a day. The New York Public Library Digital Collection has this picture entitled “Japanese Banjo Player” from an unknown date in the 1880s. Is that a Banjo? Sure, why not?